← Happy April Fools’ Day! Stand Up for Roasted Chicken! 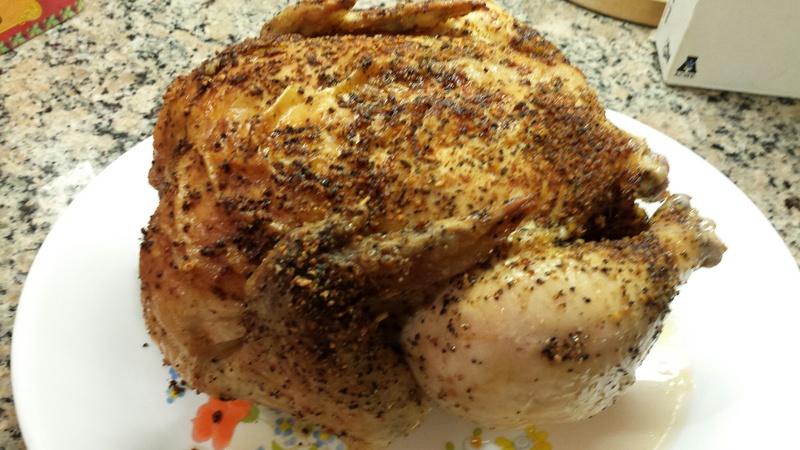 Yesterday, I made an inexpensive roasted chicken I bought on sale for 99 cents per pound. 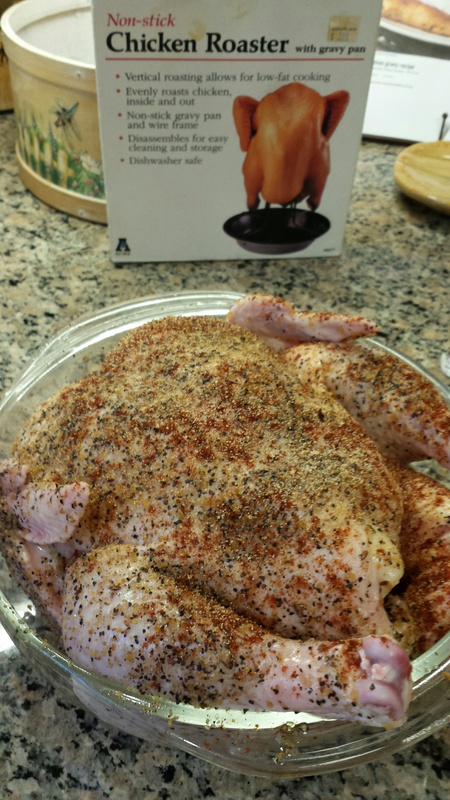 I used the upright chicken roaster and pan my mom had sent me years ago to essentially bake the chicken at 350º for fifteen minutes per pound. Earlier in the day, I brushed olive oil on the washed chicken and rubbed in a very generous amount of Montreal Steak Seasoning and a few sprinkles of chili powder on both sides and let the chicken chill in the refrigerator until time to cook. 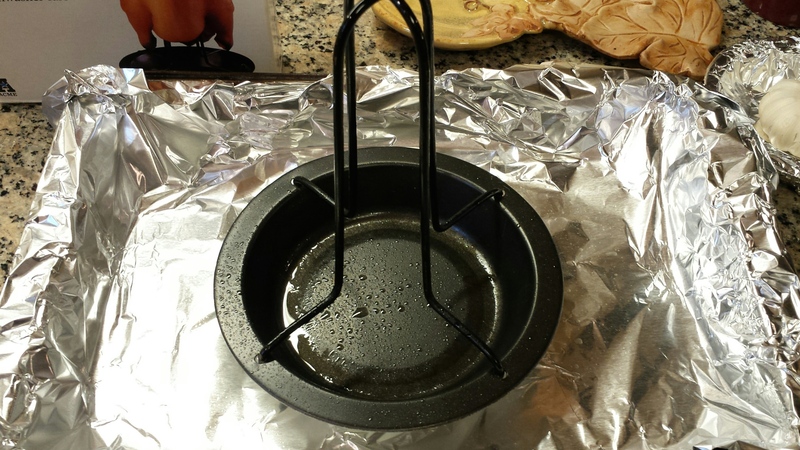 I “stood” it on the wire supports, lowered the rack in the preheated oven, and baked it with three bulbs of foil-wrapped garlic brushed with olive oil. The upright roaster lets the fat drip away and evenly cooks the bird on all sides. Do I need to tell you the aroma was other worldly? 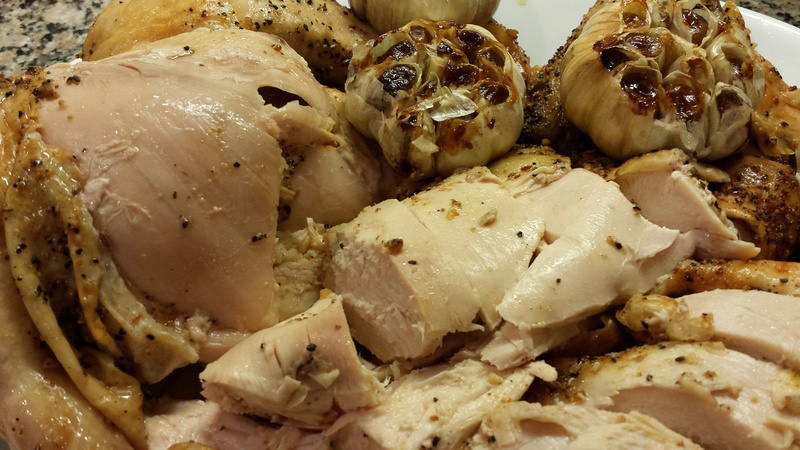 This entry was posted in Baking, Cooking, Food, Recipes and tagged chicken recipes, garlic bulbs, Montreal Steak seasoning, roasted chicken, upright chicken roaster. Bookmark the permalink.